Neelimala, one among the favourite destinations of trekkers is a famous tourist spot in Kerala. This beautiful tourist place located at Wayanad district gives you an alluring view of snow clad hills and gorgeous valleys. Planning for a holiday tour trip to Wayanad? Neelimala is an excellent picnic spot dedicated for tourists by nature. Amazing flora and fauna enriched with sky kissed hills presents a breathe taking view for visitors. It is one among the favourite destinations of ardent lovers of trekking lovers. 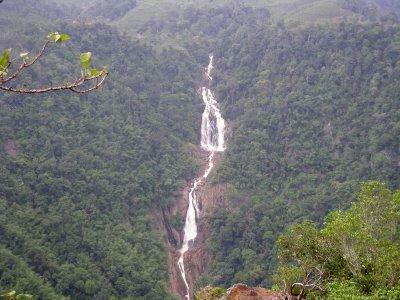 Fantastic view of alluring valley and cascading waterfalls present in Neelimala dedicates an exclusive view of tourists. If you wish to enjoy some of the best views of valleys, Neelimala is a perfect spot for fulfilling your dream. It lies nearer to Vaduvanchal in Wayanad district. This exotic view point in Wayanad district offers many exciting trails. On the way to Neelimala, you can see a wide area dedicated exclusively for coffee plant cultivation. Journey through the path decorated with coffee plants on both sides gives you an evergreen memory. You can also see here a large area cultivation of areca nut and ginger along the way to Neelimala. Neelimala is the home land for many rare living species. Rare butterflies flying through lofty mountain peaks embraces the eyes of viewers. Breath taking views of valleys and gorgeous landscape truely grabs the hearts of tourists.